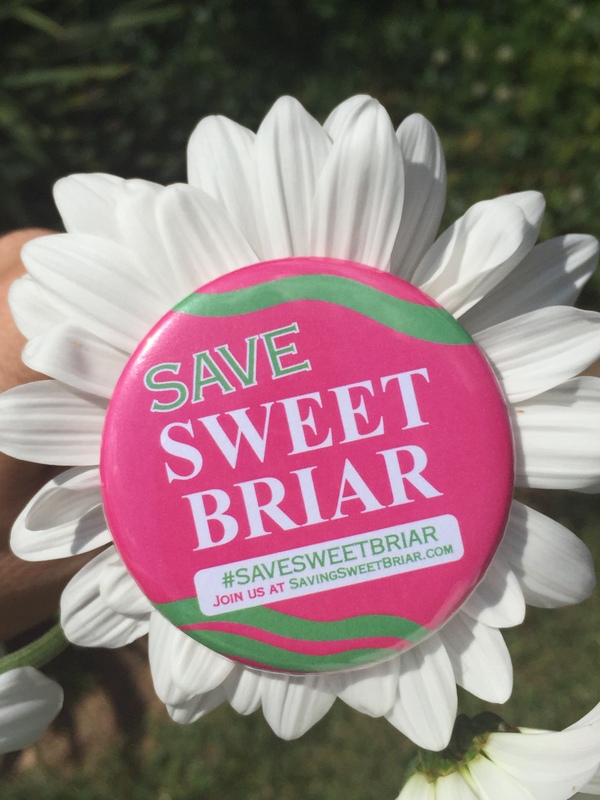 Buttons, bracelets, bumper stickers, banners, yard signs… all across America you will find alumnae and friends fighting to save Sweet Briar College! In response to the request to provide a summary of key dates significant to the efforts to save Sweet Briar College, below please find a chronology provided by Evangeline Taylor and prepared by several of our hardworking alumnae with special credit to Christine Bump. Saving Sweet Briar College, Class of 1988 members gather. March & April: Presidents & Directors of other colleges volunteered to help Sweet Briar College fashion a strategy for a blossoming future. March 26: Saving Sweet Briar, Inc. hired an independent Certified Public Accountant (CPA) to audit the College’s financials. He concluded that there was no immediate financial threat to warrant a closure of the College, and that with solid leadership and management, it indeed has the potential to thrive. 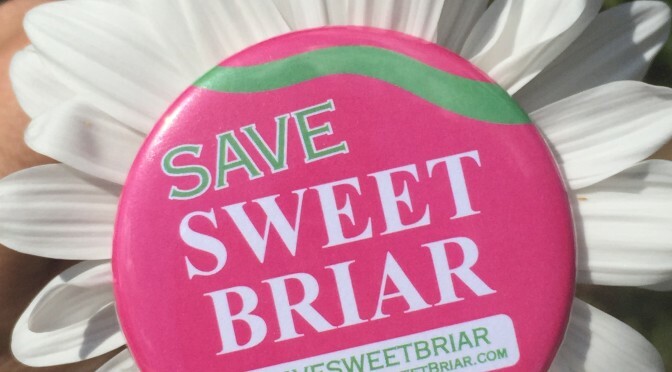 March 30: The Amherst County Attorney filed a complaint against the Sweet Briar Institute, Paul G. Rice, and James F. Jones, Jr. On April 7, the County Attorney filed a Motion for Temporary Injunction to prevent the closure of Sweet Briar College. 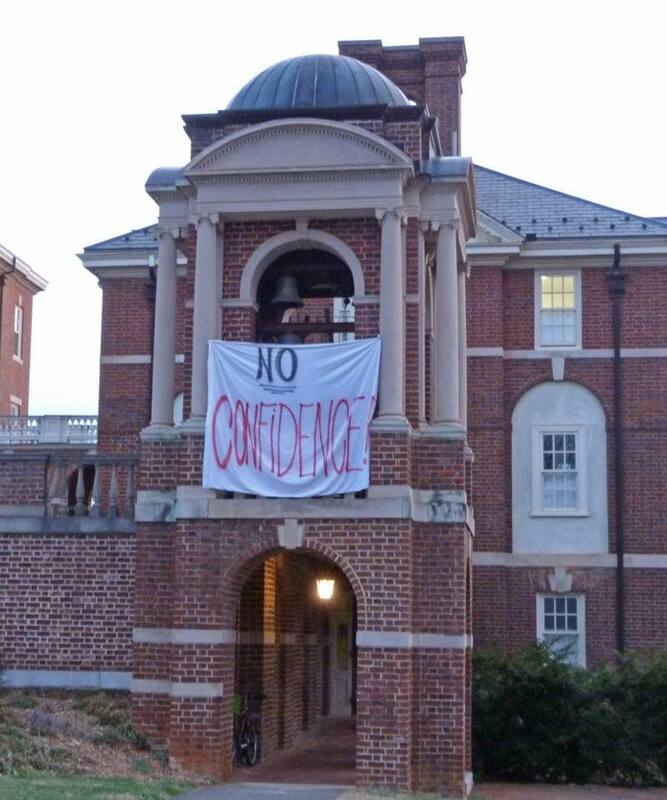 March 30: Sweet Briar’s Faculty issued a unanimous “no confidence” vote against Sweet Briar’s President and Board of Directors, and asked for their resignation. Mayor Kilgore’s letter details the crucial partnerships between Amherst and Sweet Briar College. The town’s economic base is strengthened by Sweet Briar’s students, faculty, and staff, and by the employment of Amherst residents at the College. Sweet Briar’s programs also enrich Amherst culturally, and many of the faculty members serve as community leaders. Amherst provides the College with lower cost drinking water and water treatment services, but because of the specifics of grant programs, if Amherst stops providing these services to Sweet Briar, Amherst’s total costs will increase. April 21: The Amherst County Board of Supervisors followed Mayor Kilgore’s lead and adopted a resolution expressing regret and concern for the unexpected loss of Sweet Briar College, “an essential and beloved community institution.” The Board described Sweet Briar as an important institution with which Amherst has shared multiple connections and mutual benefits for more than 100 years, and expressed “its desire to ensure that the College considers all relevant information and explores all possible avenues of action over the next several weeks so that the best and most appropriate end to the current situation may be accomplished.” The Board further resolved to support the actions of the Amherst County Attorney. April 23: Saving Sweet Briar launched Alumnae Angels, with the incredible help of Molly Currens Gaskins, Class of 1989. Though we have no doubt that we will save Sweet Briar, the current students are in an incredibly difficult and stressful position as we work through the necessary processes. Many of them need to pay deposits at other institutions while awaiting the outcome of our efforts. Alumnae Angels pairs an alumna directly with a student to help with this specific financial need. April 25: Over 50 Sweet Briar College faculty members filed a lawsuit that states that closure of the college would be a breach of contract, that the financial crisis cited as the reason for closing did not, in fact, exist, and they are seeking more than $40 million in damages for the irreparable harm they claim they would suffer if the college closes. April 29: Amherst County Attorney Ellen Bowyer filed for an appeal with the Virginia Supreme Court seeking a ruling that would assure a 2015-2016 academic year for Sweet Briar College. An amicus brief filed by three of Virginia’s top legal scholars on Virginia trust law argues that Sweet Briar College is both a trustee and a corporation. The amicus brief was filed by J. Rodney Johnson, a professor emeritus at the T.C. Williams School of Law at the University of Richmond; John E. Donaldson, professor emeritus at the Marshall-Wythe School of Law at the College of William & Mary; and Robert T. Danforth, a professor at Washington and Lee University Law School. If the Virginia Supreme Court finds that the College is a trustee, the Board of Directors cannot close the school without obtaining court approval through an existing statutory process. A second brief was filed today by Virginia State Senators John Chapman Peterson and Thomas A. Garrett, Jr., and Delegates Benjamin L. Cline, and Kathy J. Byron. The legislators argue that County Attorney Bowyer has the legal standing to pursue violations of the Virginia Uniform Trust Code (VUTC) because of her role in protecting the public’s interests. The Third brief was filed by two fundraising professionals who specialize in providing services to institutions of higher education. That brief expressed alarm about the actions already taken by Sweet Briar College, which fall outside the bounds of the legal and ethical standards governing their profession. F. Mark Whittaker and David H. King said in their amicus brief that if the Supreme Court does not grant the relief sought by the Commonwealth, Sweet Briar’s unethical and illegal actions will inevitably continue, and prospective donors will be deterred from giving to nonprofit organizations in general out of a fear that their donations may be squandered. A fourth brief was filed on behalf of Sweet Briar students, parents of students and alumnae. That brief provides additional support for the appointment of a special fiduciary to take control of Sweet Briar College. 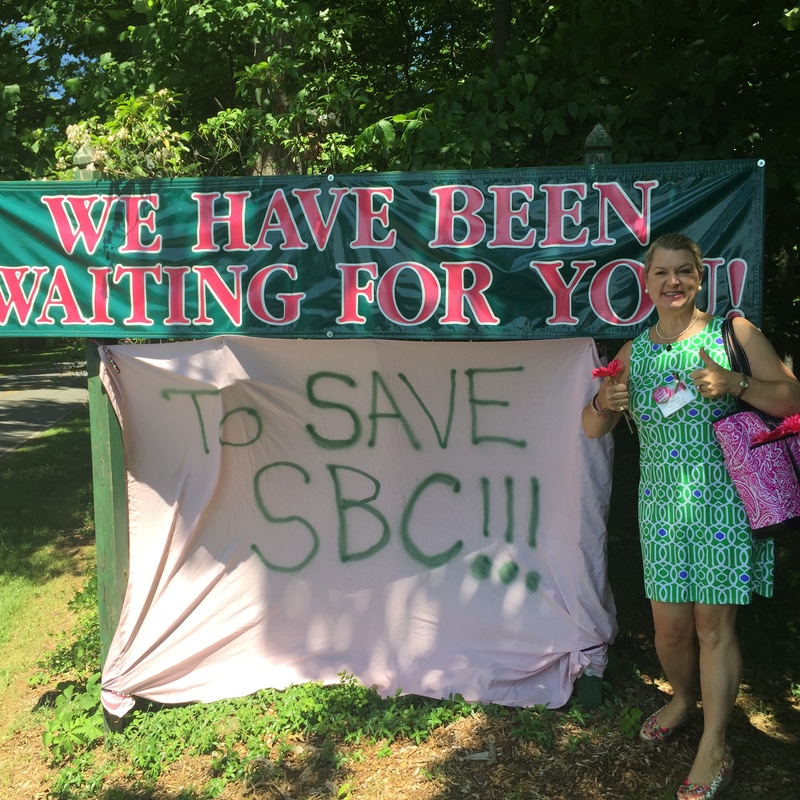 May 27: Saving Sweet Briar, Inc. is granted 501(c)(3) status, affirming its charitable and educational mission. All donations to Saving Sweet Briar Inc. made on or after March 9, 2015, the date of incorporation, are now tax deductible to the maximum extent allowed by law. June 4: Oral arguments heard before the Virginia Supreme Court regarding Judge Updike’s denial of a temporary injunction stopping the closure of the college. According to Sarah Clement, Chair of Saving Sweet Briar (Sweet Briar College, AB 1975; University of Virginia School of Law, JD 1984), the questions asked by Virginia Supreme Court justices suggested that the justices understood the urgency of the legal case before them. Hundreds of alumnae attended the hearing. According to court personnel, it was the largest crowd ever to hear oral arguments at the courthouse. June 9: The Virginia Supreme Court issues a ruling that Sweet Briar College can be both a trust and a corporation and remands the case back to Judge Updike’s court in Bedford County for a hearing on Ellen Bowyer’s request for an injunction to stop the closure of the college and that a fiduciary be appointed to assess the college’s true finances and determine what is needed to close the current funding gap to ensure the College can remain open. 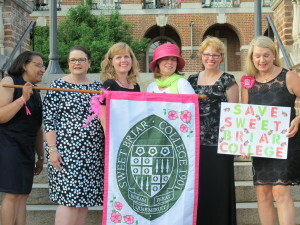 “Today’s Virginia Supreme Court ruling is a major legal victory for the students, faculty, staff and alumnae of Sweet Briar College, for women’s colleges and for the sanctity of charitable bequests made in this country,” said Sarah Clement, Chair of Saving Sweet Briar (Sweet Briar College, AB 1975; University of Virginia School of Law, JD 1984). Bowyer has requested June 22-24 for a hearing on the injunction. 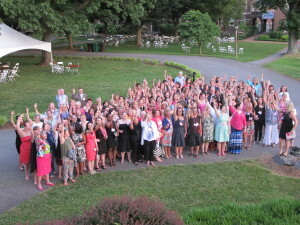 As of June 10, 2015, the pledges and donations by more than 4,400 supporters through the savingsweetbriar.com total: more than $16 million pledged over 5 years, and $1.1 million donated. Our goal is $20 million in pledges and donations. On social media, over 250,000 “tweets” on Twitter; 10,744 “Likes” offering support on the official Facebook page to help save Sweet Briar; and 6,681 Signatures on a Change.org petition calling for the Board to reverse its decision to close Sweet Briar College. There have also been approximately 22,700 news articles and blog entries referencing the proposed closure of Sweet Briar College, including in the New York Times, the Washington Post, the Wall Street Journal, the Huffington Post, the Richmond Times Dispatch, the Roanoke Times, the Non-Profit Quarterly, Inside Philanthropy, org, and the Ethics Alarms Blog. The overwhelming majority of these articles are positive for Saving Sweet Briar, Inc.’s mission, and many outright call for the resignation of the current President and Board of the College.